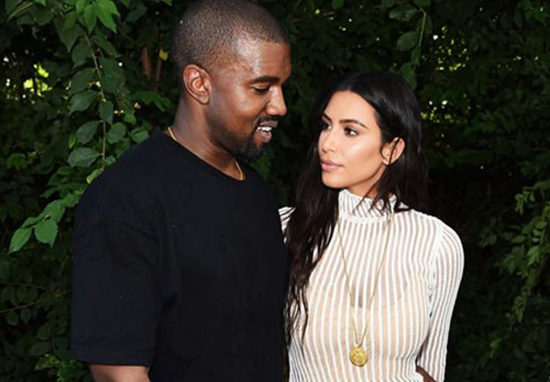 The answer everyone has been waiting for has finally been revealed – the name of Kim and Kanye’s child. 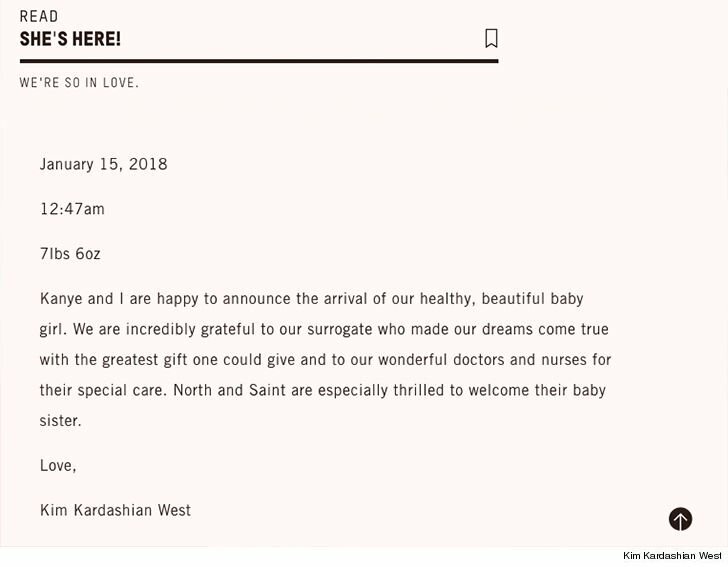 People were hoping for Wild West or South West, but Kim Kardashian and Kanye West’s new born baby will be named after a US City. 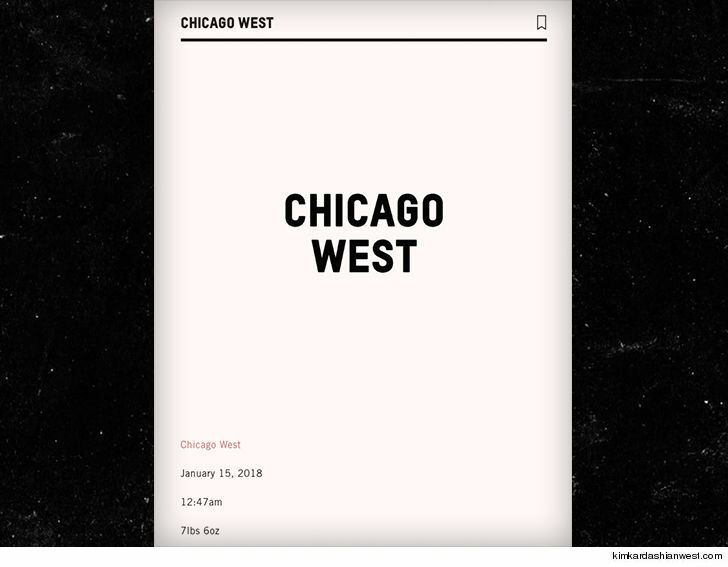 Chicago West will be the name of their third child, as was announced via their app. 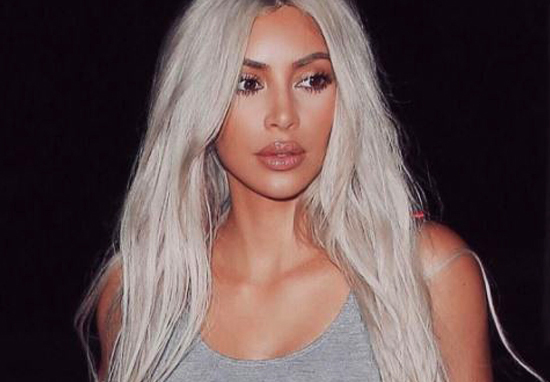 The pair had their child via a surrogate and the TV personality explained her decision for this was due to the complications she went through during the births of North and Saint. It’s not clear why they chose this name in particular, but four-year-old North, and two-year-old Saint have apparently been referring to her by the nickname Chi (pronounced Shy), TMZ reports. Welcome to the family Chicago!